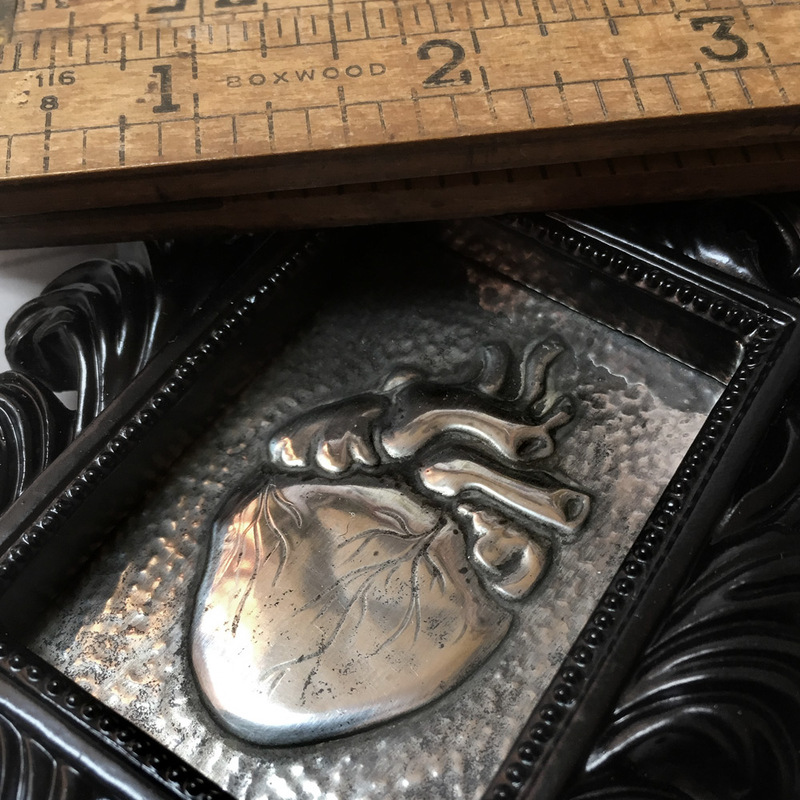 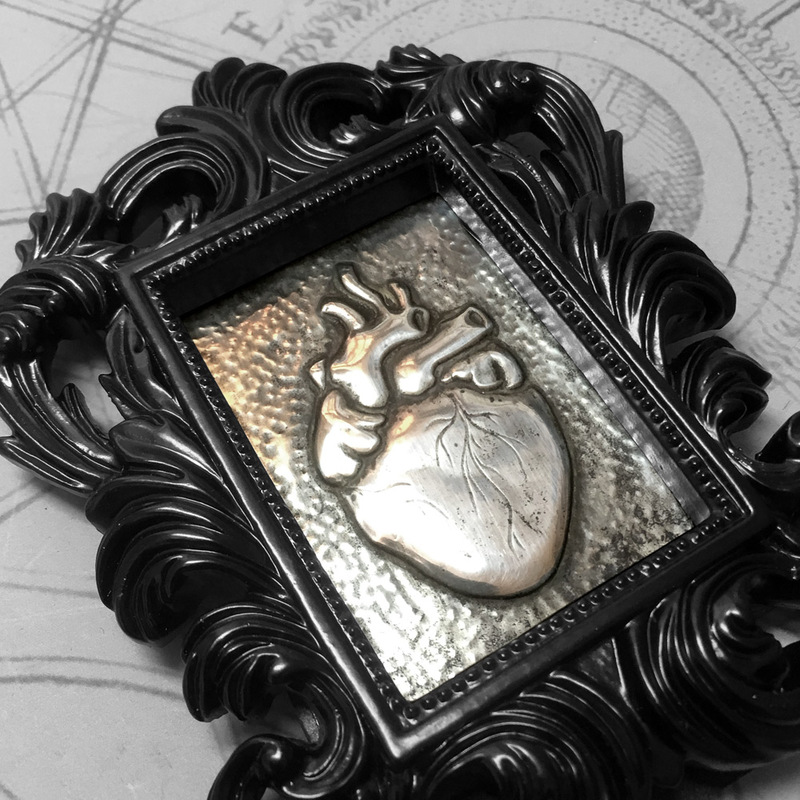 Frame: 11.5cm x 9cm x 1.5cm / 4.5" x 3.5" x .7"
This anatomical heart is based on a vintage engraving. 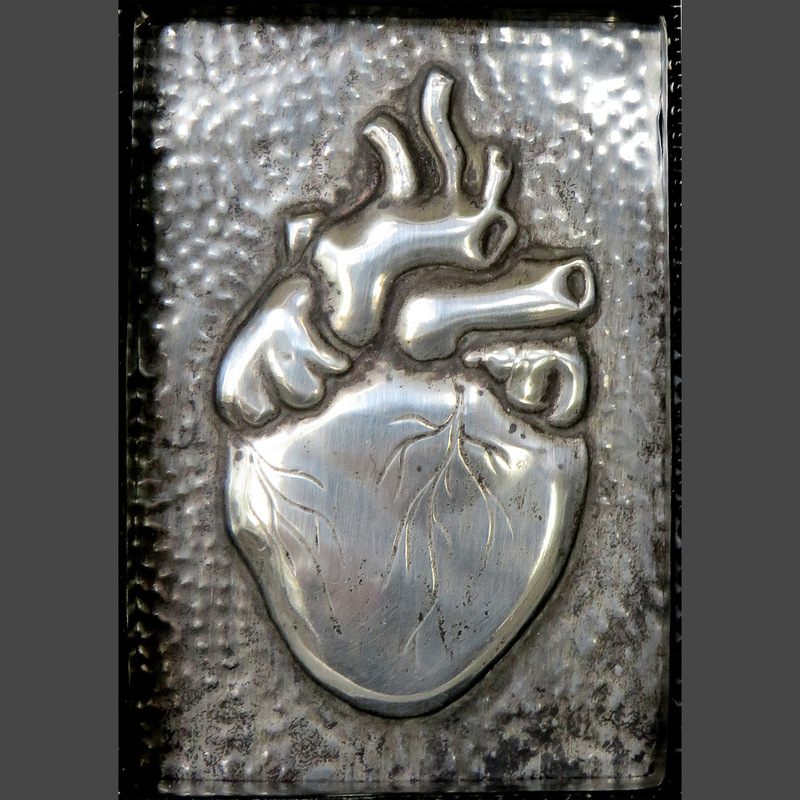 I have deep embossed the arteries, etched in tiny snaking veins and capillaries. 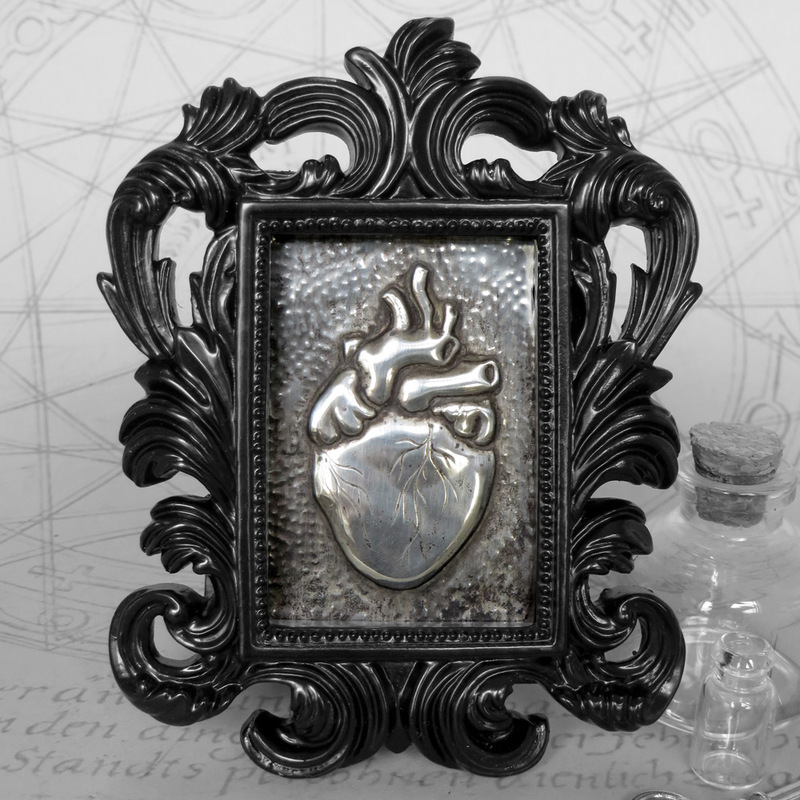 Embossed in pewter, stained with patinas and set in a tiny ornate frame. 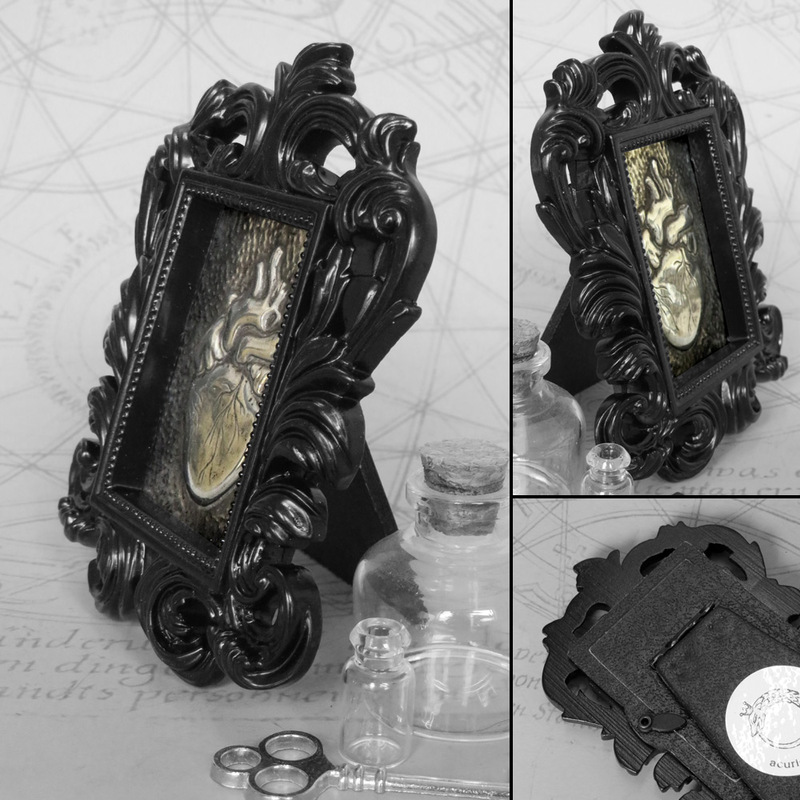 This frame has a stand at the back for display on a flat surface.